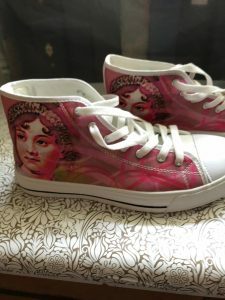 Aren’t these Jane Austen high tops amazing? Sue has a new pair that have never been worn that she’s willing to part with! They are size 8 and she is willing to say good-bye to them for $35. Anyone interested? Retail new–$70.00 Contact the website or visit our secret facebook group to get a hold of her.